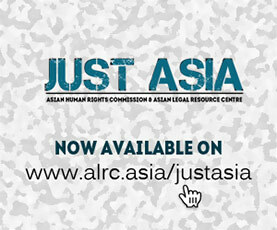 The Asian Legal Resource Centre (ALRC) wishes to draw the attention of the UN Human Rights Council to the lack of progress in Nepal’s two transitional justice bodies. Nepal underwent an armed insurgency from 1996 – 2006. During a decade long conflict, human rights violations were committed by the state security forces as well as the warring Maoists. In order to address the human rights violations committed during the conflict period, the government established two transitional justice commissions, the Truth and Reconciliation Commission (TRC), and the Commission of Investigation on Enforced Disappeared Persons (CIEDP) in February 2015. The 2014 TRC Act establishes the mandates of the TRC and the CIEDP. These commissions are mandated with investigating and revealing the truth about gross violations of human rights and crimes against humanity during the armed conflict. These commissions are thus expected to recommend legal action against the perpetrators, and reparation to the victims of those incidents. Though the Government of Nepal established the TRC and CIEDP in 2015, neither commission is close to fulfilling its mandate. Despite concerns shown by victims, these commissions continue to proceed at a very slow pace. Over the past three years, the two commissions have received around 64,000 complaints of human rights violations committed during the conflict. But these commissions have not made public the progress in investigating and responding to these complaints. After much pressure from within and outside the country, the government has made public a draft amendment to the Act on 21 June 2018, and called for recommendations from national and international organizations. The draft amendment comes in response to the Supreme Court rulings that the Transitional Justice Act (TJA) does not meet international standards. The TRC and CIEDPhave failed to address victims’ needs and made little progress. The new draft has proposed a special court provision, and categorized conflict related crimes as “severe” and “others” crimes. Severe crimes include torture, rapes, extrajudicial killings and enforced disappearances. There will be no amnesty on severe crimes, and the statute of limitation to register cases against perpetrators has been removed, a key demand of victims. The draft amendment has proposed reparation as rights of the victims, and establishes a community reparation, which has long been advocated for. This may open a door to address victims’ livelihood, memorialization and reconciliation processes in communities. Reconciliation is only possible with the prior consent of victims, and protection of the victims and witnesses through respecting their right to truth, justice and reparation. The proposed draft also proposes community service as an alternative to prison time for perpetrators. This is unacceptable, amounting to impunity, and insteadthere must be mandatory prosecution and punishment of perpetrators in line with domestic and international law. Crimes like torture and enforced disappearances also remain undefined in the draft amendment, hinting that major offenders may get away easily. These are only some limitations in the proposed draft. These commissions are already hampered by the lack of basic resources to accomplish such a database-building task. The manpower in these commissions have little to no experience and knowledge on how to handle human rights violations data and needs-assessments. Without significant involvement of the victims, national and international community, including the donors, the two commissions are not in a readily available position to fulfill tasks essential to designing a meaningful reparations program. Understaffing is a major issue at the commissions, and instead of increasing the numbers, the government reduced the staff to about 50. The staff lack professionalism, and commitments of the commissioners have often been raised. The general lack of support from the government as well as national and international organizations has worsened the commissions’ ability to perform. There must be meaningful consultation with the victims. The government must demonstrate genuine willingness to establish an effective transitional justice process in compliance with decisions of Nepal’s Supreme Court. Only a genuine consultative process could be at the core of any sincere transitional justice process. In order to gain credibility, these commissions must ensure that international standards for protecting victims are respected, while addressing the calls for amendments to the TRC Act in accordance with the Supreme Court’s 2015 verdict. The ALRC respectfully requests the Council to remind the Government of Nepal that these commissions were governed by flawed legislation. The Government has an opportunity to correct flaws in the current Act and process; a new and improved Transitional Justice Act could open the door for a trustworthy official process to fairly investigate war crimes, disclose the truth, and provide full justice and reparations to marginalized victims.